Should you show your hand in poker? - Casino Answers! 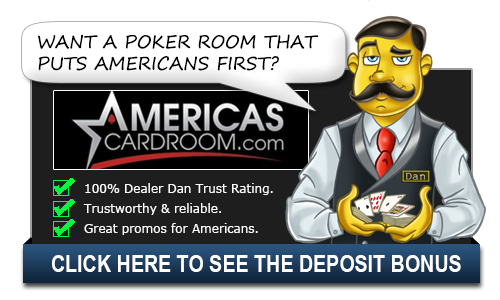 Casino Answers » Poker » Poker Strategy » Should you show your hand in poker? This is a question many people wonder about – should you be revealing your hand in poker when you don’t have to? You’ve bluffed an opponent out of the pot – should you now show your cards so people know you bluff, and then take advantage of this table image? The best answer is no, especially when it comes to online poker. Offline poker can be very different in regard to tells and the tempo of the table. It’s more personal, there’s going to be less hands played, and there are no distractions so at least in those types of games people will pay attention to your table image more. However, in online poker people multi-table; people don’t pay attention; people come and go. It’s very rare that you will be sitting at a table with the same people for more than 20 minutes. Therefore you won’t get to take advantage of your table image. Even more-so, you don’t really know the players, and you have no idea how they will react to it. So it is best to never show down your hand. The less information you give your competition the better anyway – let them figure out if you were bluffing or not. The only time you should be revealing your cards and getting into the whole meta game aspect of poker is when you really know the players, or if you know you are going to be playing with these players for awhile. A good example of this would be the final table of a tournament. There can be a certain advantage into using a bluff and then making a well-timed reveal. If the table is playing especially tight, which often happens in tournaments as you get closer to the cutoff for the prize money, a bluff to steal the blinds followed by a reveal of your junk cards can make the other players think that you are a loose player. Then when you get into a situation later in the game when you actually have a good hand, your opponents might be more likely to call. It can also be useful to show your hand when you actually do have the nuts and your opponents fold to your raise. This can paint a different picture of you as a player that shows you as a tight player who only raises when they have good hands. Painting yourself as a tight and aggressive player could allow you effectively bluff later in the game. Of course, these types of strategies should only be used sparingly and at your own risk. They work far better in tournaments than cash games because of the reason we laid out above so you should only use them in those late game tournament situations. Poker is a game that takes years to master so knowing when to reveal your hands is something you’ll learn along the way. Generally, revealing hands is something you want to avoid. If you want to take advantage of bad players who reveal their hands, hit up Pokerstars.